We’d love your help. Let us know what’s wrong with this preview of King by Charles R. Johnson. 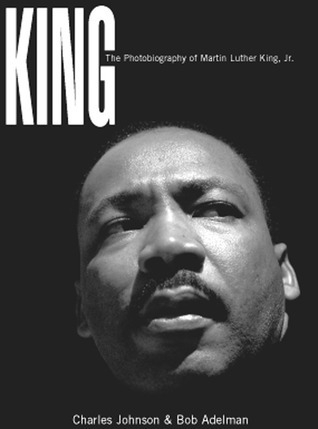 King is the first true photobiography of a hero's journey. Never before has his life been so richly chronicled from so many different points of view. A powerful collection of photographic images combined with text by National Book Award-winning writer Charles Johnson detail the pivotal events of King's public life--as well as his family life--in a rich and stirring format. 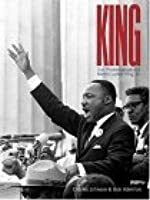 In this book, we see Martin Luther King, Jr., in all his aspects: as son and student, husband and father, powerful preacher and courageous leader of the civil rights movement, martyr for the cause of racial justice, and finally American icon. Photographer Bob Adelman and photo editor Robert Phelan have compiled an impressive and comprehensive array of images depicting this great man's life and times. We see King standing before a packed congregation at the Dexter Baptist Church during the bus boycott in Montgomery, Alabama, or in his own backyard playing with his children. In one moment we observe King peering calmly through the bars of the Birmingham jail after one of his arrests; the next, strapping sandals on the feet of his young daughter. There is the tragic scene in Memphis seconds after his assassination, with anguished witnesses pointing in the direction of the gunshots, and the aftermath in Atlanta, a crush of mourners following his horse-drawn casket through the streets. And of course, the indelible image of King speaking the immortal words "I have a dream"on the steps of the Lincoln Memorial. Through hundreds of photographs, we see a country being changed, an era and legacy being formed, but above all, we are given a privileged look at the man himself--at his most human and humanitarian. To ask other readers questions about King, please sign up. A powerful book about a more than powerful man. This is a beautiful book filled with photographs from a man who started out as a volunteer photographer of the civil rights movement. Because King was the defining moral force of my life, I treasure this book and pull it out at least twice a year--once on King's birthday and once on that awful April day which is the anniversary of his murder. The pictures are worth more than a thousand words. They are priceless.